Will Charlie Baker bring back a lost political art? 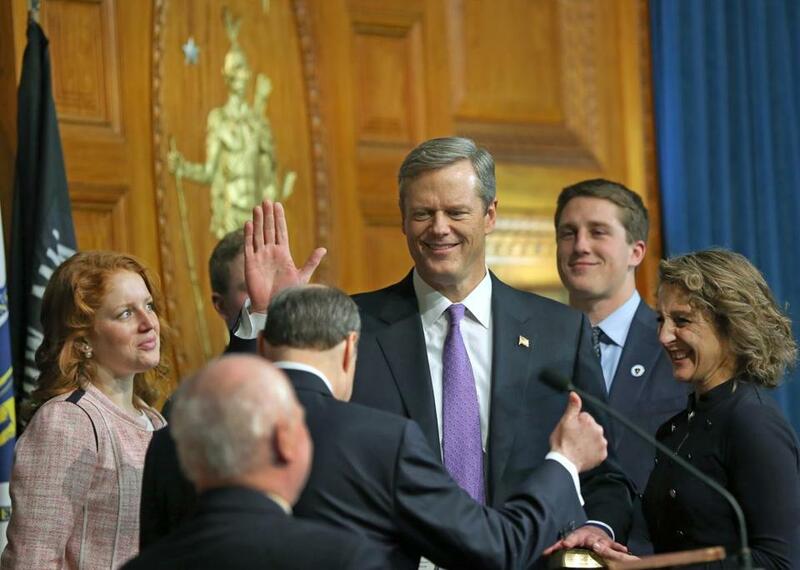 Governor Charlie Baker took the oath of office on Thursday. Here are some Charlie Baker stories that might say something about the kind of governor he’ll be. During Bill Weld’s first term, I was talking about Charlie, who was health and human services secretary, to Loretta McLaughlin, the Globe’s editorial page editor at the time. A fierce critic of Weld, Loretta had a special interest in health care. But she told me: “I agree with just about none of Charlie’s approach, but I believe he’s trying to help people.” In other words, she agreed with his goals, just not how to get there. High praise for someone who was Charlie’s ideological opposite (and the kind of non-judgmental disagreement we rarely see in politics today). Years later, when Charlie was hired to turn around Harvard Pilgrim Health Care, I got a call from my friend Tom Reilly, then the Democratic attorney general of Massachusetts who had placed Harvard Pilgrim into receivership. Tom didn’t know Charlie, but wanted Charlie to know that he intended to work with him in earnest to save the company and had no interest in scoring cheap political points at Harvard Pilgrim’s or Charlie’s expense. He wanted to know if Charlie had the same intentions. Charlie’s response: “I’m already there.” So they saved Harvard Pilgrim and created a bond that endures to this day. A few weeks ago, Charlie was talking to a room full of movers and shakers about a meeting he was having with the president the following day. Charlie said that what he really wanted out of the meeting was to learn who the President’s point people were on various issues. It’s a rare first-term governor who understands that people like assistant cabinet secretaries are where states go to get what they want from the feds, not POTUS. So what do these stories say? To be sure, he’s a reformer at heart, so he’ll set big goals and go after them with vigor. But he’ll be bipartisan, reasonable, practical, and generous with credit — an approach that represents a lost art in politics and one that tends to actually get things done. What did we learn from Baker's inaugural address? Ray Howell, who served as press secretary and campaign manager for former Gov. William F. Weld, is president of Howelll Communications.